Although many makeup products (especially the “natural”ones) come with the claim to provide skincare benefits, I cannot agree that they always do. In fact, I have rarely used makeup products that made my skin look better when I washed them off (the Gressa Corrective Serum Foundation is one of few of them). Many of these products tend to clog my pores and congest my skin, which is why I try to have as many makeup-free days as possible, especially during Summer. 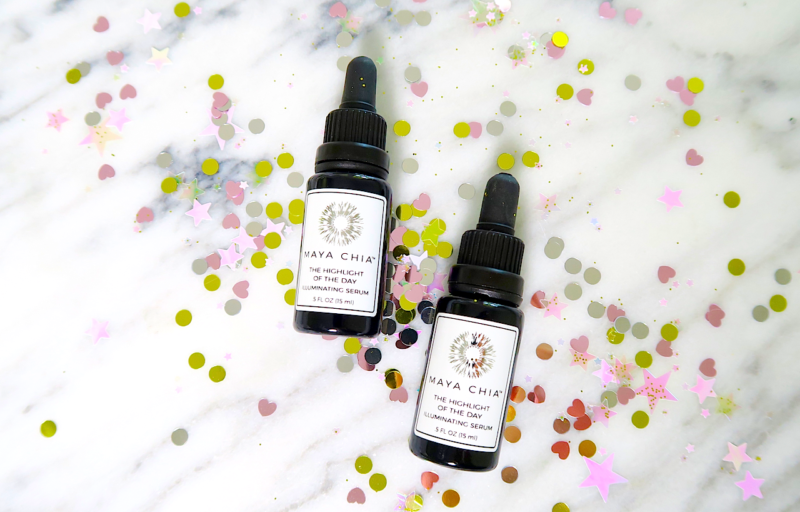 The newly launched, Maya Chia illuminating serums, however, really contain skin-loving ingredients, give the prettiest sheen to the skin, and are so lightweight and comfortable that I can easily forget that I am wearing them. The Maya Chia the Highlight of the Day Illuminating Serum* is, technically, a serum and a highlighter at the same time. It reflects the light like a finely-milled highlighter and it moisturizes/protects the skin with a lightweight blend of plant oils. It can be used in different ways, depending on your skin type and personal preference. 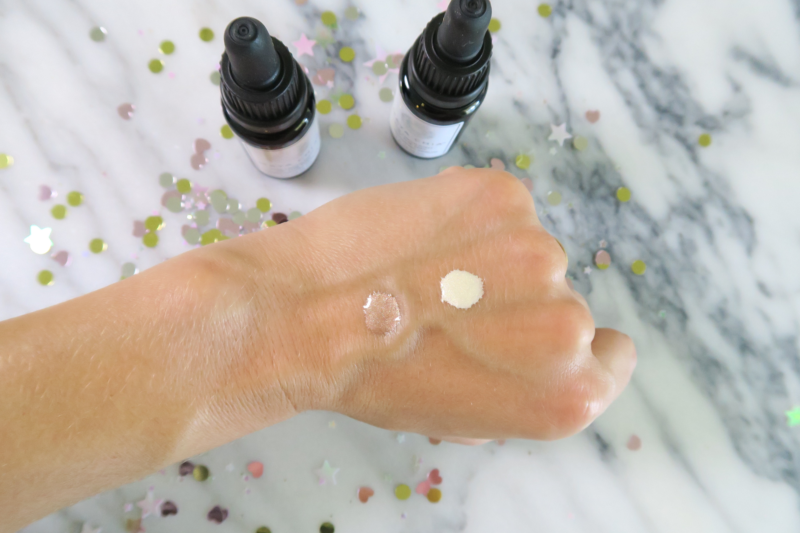 If you have dull skin, you can try to add half a drop (or less–a little goes a long way) into your face serum, face moisturizer, or your makeup primer. Dispense the amount of serum/moisturizer/primer you intend to use in your hand, then add a drop of the highlight of the day. Mix well with a finger or brush and apply evenly for a luminous finish. If you want to make your foundation finish less matte and more luminous, try to add a drop or two of the serum into your foundation. Mix the two very well and then apply evenly. As a highlighter, you can apply the serum to cheekbones, brow bone, cupid’s bow (as I show in the video below) to give your face more dimension. Applying foundation all over your face can leave it looking a bit flat, so highlighter and a little bronzer can emphasize your face structure and features. If your nose tends to get very oily, I would not apply the serum on the bridge of your nose. You can also add a few drops of the serum to your body moisturizer/body oil, which is a good Summer skin hack if don’t want to buy a shimmery body product just for Summer or other special occasions. You just add the luminosity factor into your regular product. I recommend picking up the amount of lotion/oil that you intend to use and mix the products in your hands before applying it evenly on your skin (I would not recommend that you pour the highlighter into your moisturizer jar/bottle, as the two may separate). Supercritical Chia Seed Oil provides the skin with essential fatty acids, multiple vitamin Bs and zinc, which are all beneficial to the skin. In a 2010 study, topical application of chia oil was found to improve hydration of the skin and soothe itchy skin. It is full of antioxidants, so it helps to prevent/treat the effect of free-radicals. Supercritical means that the extraction process is oxygen-free and solvent-free, so the oil extracted is more pure/free of unnecessary contaminants. ne. What is so unique and unexpectedly effective for skincare purposes is its fatty acid profile. It is estimated that broccoli seed oil contains up to 49% erucic acid, which is responsible for the silicone-like, silky texture that gives it that beautiful slip. It is lightweight and easily absorbed, and provides a shiny finish without looking or feeling greasy. Beside these desirable cosmetic characteristics, it also provides somereal benefits for the skin. It’s full of antioxidants and provides *some* protection against sun damage (not a substitute for sunscreen–just a good ingredient to wear underneath your sun protective product). It also has great oxidative stability, which makes it a better option than other oils in cosmetics (say amen if you have naively put a rancid oil on your face before *raises hands*). Capriylic/ Capric Triglyceride is an ingredient made with the fatty acids of coconut oil and has emollient properties. It also helps with making the formula more “slippery” and thin, so that it goes on very smooth. People who break out from coconut oil (me) tend to avoid products with this ingredient; however, it is not as occlusive as pure coconut oil. I can’t speak for everyone, but in my case it has never been a problematic ingredient. than aloe gel in soothing diaper rashes. It also has anti-septic properties, and studies have showed that it helps to heal wounds. It is definitely an ingredient to look for in your products if you are prone to rashes and breakouts. I also wanted to quickly touch on the essential oil content, because several people asked my opinion via Instagram. I know that many of you, like me, need to be very cautious with essential oils due to their potentially irritating/sensitizing effect. Since I don’t have any specifics on the essential oils included in this formula, yet, (but I will update this post if I am able to obtain more detailed info), I can just share my personal experience. So far, I have not had any issues. Typically, when my skin reacts to essential oils, it develops redness and/or little bumps almost immediately (I posted a picture of my skin a long time ago after testing a Tata Harper moisturizer that left my skin looking like sandpaper, which you can see here). I think that the amount of essential oils in this Maya Chia serum, like in the other Maya Chia serum I have tried in the past, contains a very small amount that my skin can take with no issues. The essential oils provide a delicate, citrusy scent, which helps to mask the naturally occurring smell of the product (broccoli seed oil and minerals don’t smell good), so the scent makes the product more pleasant to use. It’s not overwhelming (I would not be able to wear it myself if it was), but do keep in mind that it is scented, if you want/need to use scent-free products only. Happy Hour – cool-toned, pinky pearl color. I don’t have this one, so I could not swatch it. Golden Hour – gold-toned, champagne color. This is the one I use the most, and the one that would suit most skin tones, even very fair skin tones. After Hours – bronze-toned, tan color. This actually looks like my skin color right now that I am a bit tan. This will suit medium-tan skin tones. From left to right, these are the swatches of After Hours and Golden Hour. I try so many beauty products that this rarely happens to me, but with this illuminating serum, it was a love affair from day one and so far, I haven’t found anything that I don’t like. As much as I enjoy putting on makeup and love a polished makeup look, I hate the feeling of product sitting on my skin. Since I have not been wearing foundation (I am just using a little concealer here and there), this serum has become like an extra step of my skincare routine an feels like an extra layer of serum wherever I apply it. The lightweight texture is definitely my favorite thing about it. I also like that it requires little effort and looks sort-of effortless, but it makes my skin look like I had that 8 hours of sleep-type of glow. I also like the colors, and I use the two shade I own individually or mixed together, since they compliment each other nicely and are both very flattering. When I will run out, I will probably pick Golden Hour over After Hours, simply because in colder months my skin tone is a bit lighter, and the Champagne shade is going to suit my skin tone better. How Does It Compare to Other Highlighters? 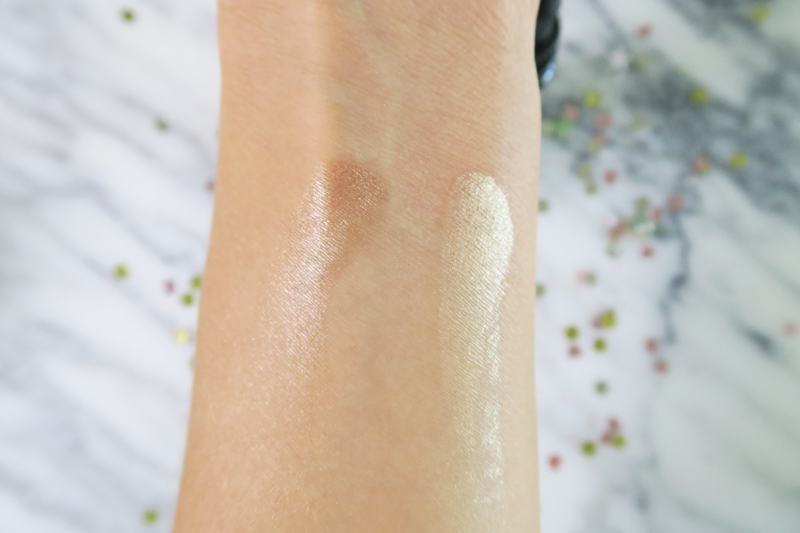 Comparing this product to the other highlighter I have tried is a bit challenging, considering that this product has a very different formula. However, I understand that someone who has been using the Living Luminizer may be wondering if they should try something different. In my opinion, anyone who has been using cream highlighter and found it a bit heavy or greasy for their skin should consider giving this serum a try because as I mentioned, it feels practically weightless on the skin. I also think that anyone who likes a more minimalistic approach to beauty would appreciate using a product that can multitask like this serum. You could probably find a new use for it that I have not mentioned here. Also, it requires almost zero effort to apply. Since the effect that the highlight of the day gives is more natural-looking, I would also recommend trying it if you are into “no-makeup” makeup looks. It offers the type of radiance that makes your skin look more expensive and polished, but still like skin. 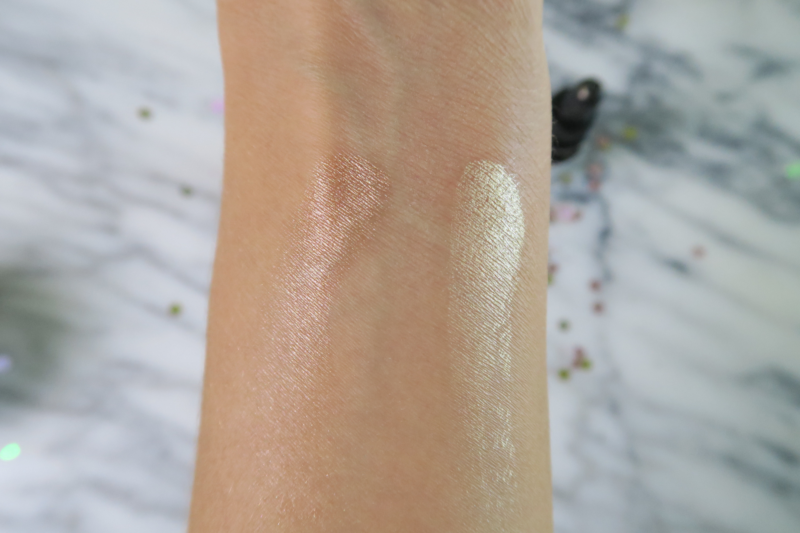 Lastly, I would recommend this highlighter if you find like the look of dewy skin but find that most products emphasize your skin’s texture in a non-flattering way, because the silky formula and natural sheen will likely give you a more desirable effect. If you have a more specific comparison question, please leave a comment below. 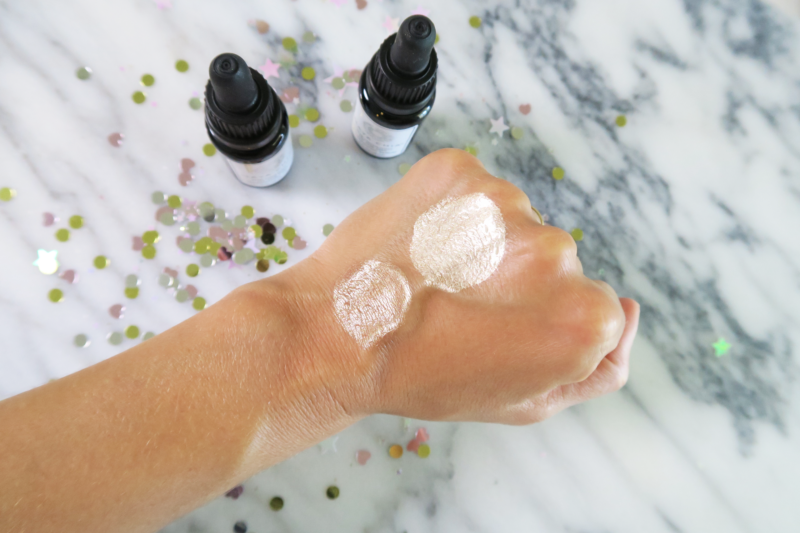 At $42 dollars for 15 ml, this illuminating serum definitely falls into the luxury category, but I personally find that the price is fair when compared to other highlighters in the green beauty market. Even more if you consider that it has actual skin benefits. As you can see in the video below, a little bit goes a long way, and no finger-dipping is required to dispense the product. Therefore, you can get a bit more long-term use than your typical pan or jar because there is no risk of contaminating the product in the bottle. These are just a few considerations of mine, since I plan to purchase it when I run out. 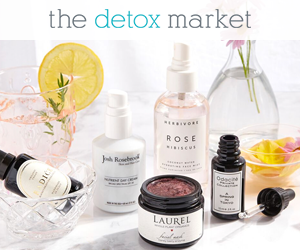 You can shop directly from Maya Chia Beauty (here) or at The Detox Market.